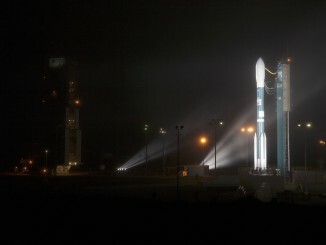 NASA, United Launch Alliance and Air Force officials hold the pre-launch news conference for the Delta 2 rocket with the agency’s SMAP environmental satellite from Vandenberg Air Force Base on Jan. 27. 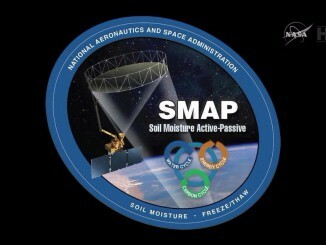 The SMAP observatory to map soil moisture distribution from 426 miles in space and its workhorse booster have been cleared for launch Thursday morning from California. 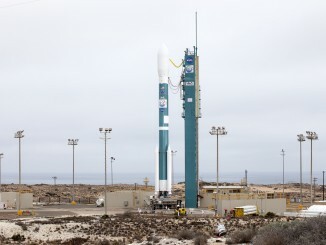 The weather outlook is 80 percent favorable for launch of the Delta 2 rocket early Thursday morning from California, with cloud thickness posing the only worry, meteorologists report. 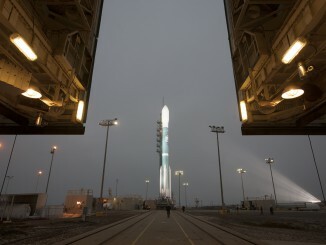 From weather forecasting to agricultural benefits, a new NASA mission launching this week will provide unprecedented resolution, accuracy and coverage of soil moisture on a world-wide basis every three days for the next three years. 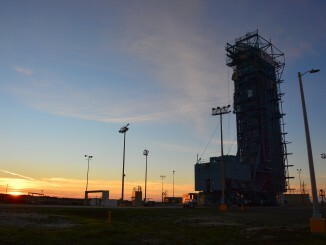 The Delta 2 rocket and the SMAP spacecraft passed the Flight Readiness Review today that assessed the progress of work and granted approval to proceed with loading the storable hypergolics into the second stage. 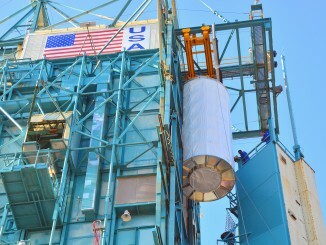 This photo gallery shows NASA’s SMAP spacecraft arriving at the launch pad at Vandenberg Air Force Base’s Space Launch Complex 2 and being hoisted atop the United Launch Alliance Delta 2 rocket. 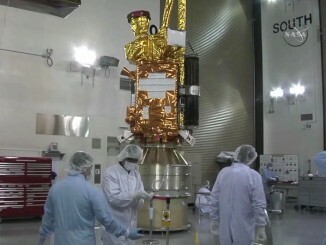 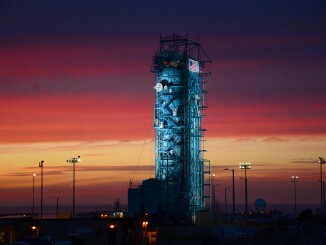 Installation of the Delta 2 rocket’s nose cone was completed Tuesday in the cleanroom of Vandenberg’s Space Launch Complex 2 gantry as preparations continue for the SMAP mission’s liftoff next Thursday.